Truth by Kbaig: Memo Scandal Jolting Pakistani Politics cannot be Just a Piece of Paper..! Rejecting the decision of Supreme Court, lawyer of Hussein Haqqani, Asma Jahangir termed the day as dark day of Pakistan’s history. She questioned journalists outside the court, “is this court of establishment or a public court, and we are rewarded in this way for restoring the court”? In the way Asma Jahangir expressed disappointment, all the legal analysts are astonished over this because they did not expect such a dictatorial response from ex-President of Supreme Court Bar and high level lawyer. Only lawyers may comment over legal issues or legal values but I think the reaction of Asma Jahangir over the court verdict was preplanned. After the court verdict had been given she would have criticized army and ISI in both situation whether the verdict had been in favor of Army/ISI or against them. The only difference is if the verdict had been against army/ISI then she had been demanding that ISI and army should be brought in court for its impact over foreign policy with India, for killing and defeating terrorists in Swat, Malakand, and other tribal areas. The case for murdering terrorists (sponsored by her supporter country i.e. India) should be filed against army. But as the court verdict is against her hopes she criticized the most senior court of the country as well while expressing her disappointment. Actually she was trying to misguide international community that our courts and respected judges are under the influence of army establishment. Through such expression how she has served law or what she had wanted to do, this can be only answered by legal analysts. However she had openly expressed her enmity to ISI during discussion in court when she has said that if court has to believe what ISI says then there will be many traitors, if we look at the reports of ISI then including Wali Khan and Benazir Bhutto and many within this court has been claimed as treacherous. On the same day she said that Prime Minister and President should have the control of nuclear weapons, the owner of nuclear assets is not army but whole nation. 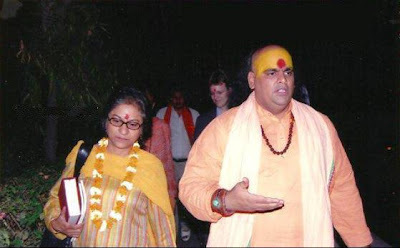 Asma Jahangir along with a Swami going to a Mandir! Alas! 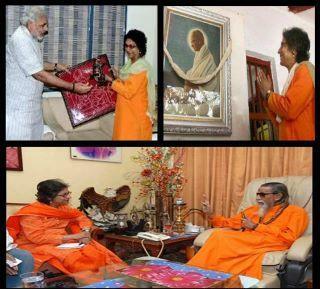 Asma Jahangir had courage to informe court about these facts for which Proud of Asia, and spiritual father of our President Mr. Z.A. Bhutto not only declared Wali Khan as traitor and enemy of Pakistan, but banned his party Awami National Party (ANP) as well. All this was not done on the advice of army or ISI but IB and Special branch of Police and in the light of reports by these agencies. These reports claimed that Wali Khan and his colleagues were behind the murder of Governor of NWFP through bomb blast on 7 February. After arresting Wali Khan he was put in Rawalpindi Jail and afterwards transported to Sahiwal and then Hyderabad. A special court started trial against him after 18 months of his arrest. But Asma will never dare to unveil these facts and deviate from the agenda assigned to her. Like this on 29 December during the trial when she used harsh words against Army Chief, Chief Justice was forced to advise her in his remarks, “Army Chief should be respected. They give up their blood for defense of the motherland.” In reply to this she said that those are someone else who give their blood they only know how to rule (would she like to answer who are these other people who give their blood for defense of country, has any of her son has done so or she thinks only Indian soldiers give their blood as she belongs from there?). On the same day when Asma read the statement of James Jones and said that memo scandal is untrustworthy, Chief Justice was forced to ask her that whether court should believe James Jones or Chief of our own forces? While Chief of Army has already said that memo is a reality. This is just that memo has been unveiled in the form of a conspiracy and ISI & Army are of the view that investigations should be held in this regard. No one has accused anyone as traitor or pointed out anyone. There is Pakistani army and Pakistani courts while govt. also wishes to hold investigations in this regard then why these handful of people singing the chorus of AMAN KI ASHA like Hamid Mir, Najam Sethi and others are posing this in such a that this is the time to decide whether there should be army or not? (Of course they are fulfilling their duties for which they have received advance payments). 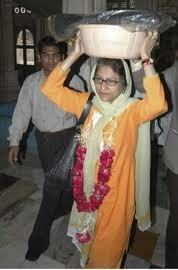 Asma Jahangir in a Hindu Temple of Ahmedabad! Is there a single example of a country which has won freedom on the ideological basis from a bigger country. Right from the first day of our freedom India has never accepted our sovereignty and in such situation army is the only department which has built an indestructible defense line around Pakistan in spite of shortage of human resources and financial resources. This is the crime of Pakistani army. On 1st June 2011, Asma Jahangir said in the program of Hamid Mir, “either save army or country.” In this Program Hamid Mir presented a young man named as Muhammad Junaid in a dramatic way, through this youth he tried to prove the fabricated story true that Pakistan army itself had planned the attack over Mehran Base, and Muhammad Junaid was eyewitness for this. In this program Hamid Mir while pointing towards the camera addressed army, “you lay down weapons in front of enemy, now you will do this in front of us” (because enemy has penetrated within our country in the form of these pawns of media). This is another thing that within two days Waqt TV unveiled the fabricated story of Hamid Mir and proved that this story was based upon lies. At that time neither there was any memo scandal nor any doubts about Hussein Haqqani had been expressed by army. 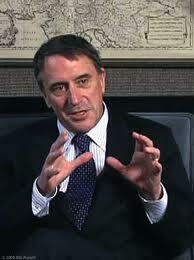 However media was expressing doubts about Haqqani. In spite of unveiling the fabricated story Hamid Mir did not felt any shame (what is shame for the agents selling themselves for dollars). However he is still working on his propaganda against army. Alas! These pawns of media had some respect for national interests, they had ever dared to run a campaign in favor of Kala Bagh Dam, energy and agriculture. They should have unveiled elements misguiding innocent public against Kala Bagh Dam (how can they do? Those involved in the movement against Kala Bagh Dam and these anchors both have mutual masters.). They should have invited agriculture and Electric engineers and enlightened nation about the benefits of Kala Bagh Dam, that this is not the dam of a sect, caste or province but of the whole nation, this is the guarantee of the secure future of the Pakistan. In the construction no one will be at loss but everyone will benefit. Lets come back towards our today’s topic that is the Memo Scandal about Hussein Haqqani (claimed by govt. of Pakistan as a piece of paper), Supreme Court has established a high level judicial commission under the leadership of Chief Justice of Baluchistan Highcourt Qazi Faiz Eesa including three members. The members are Chief Justice Hameed-u-Rahman from Islamabad high court and Chief Justice Sher Alam from Sindh high court. District and Session Judge Jawad Abbas has been appointed as secretary of the commission. According to the court verdict the appointed commission will complete its investigations within four weeks and submit its findings in Supreme Court. The commission has been authorized to seek help from lawyers and forensic experts. In the summary verdict this has been also said that Chief Secretaries of all the provinces, Director General FIA, Pakistani embassy in USA and Britain will be bound to support commission in its investigation. Perhaps any such high level commission had been ever established in the history of Pakistan. This shows that memo is not just a piece of paper or communication between Mansoor Ijaz and Hussein Haqqani, or its handing over to Chief of US army. Obviously there is something serious behind it, for which Supreme Court has appointed Chief Justices from three high courts. The findings of this commission will be valuable for the integrity of Pakistan. That is why smelling the threat Asma Jahangir was forced to say that national interest had been given priority over individual rights. Now one should ask her that individual rights can be only safeguarded only when there will country (perhaps she was saying because she thinks her individual rights are safeguarded somewhere else). The actual base is country and keeping in view the value of sovereignty of country Supreme Court has appointed the commission. But here the question arises why our rulers bow in front of USA for being in power in spite of contacting the public? Why did they offer nuclear assets in return to American favors? 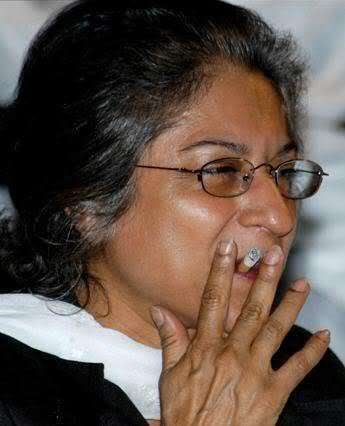 Asma Jahangir has correctly said that original owners of Pakistani nukes are Pakistani people (then why she wants to give up nukes for her INDIA). But when USA will help the specific leader to come in power than obviously USA will consider its own interests as well. This will include Pakistani nukes as well. 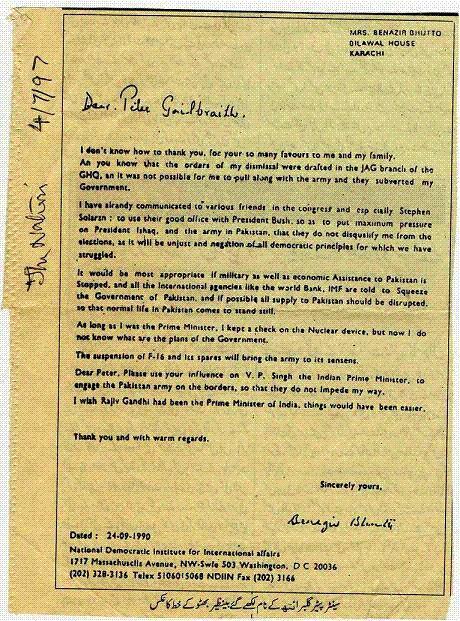 For example the letter of Benazir Bhutto in 1990 addressed to Peter Gailbraith after her first govt. was put to an end. 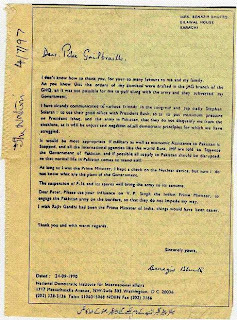 In her letter to Peter she especially mentioned nuclear weapons; this letter was published as it is by THE NATION on 7 July 1997. This letter reminds us of 1990 when Benazir Bhutto has rejected to issue any funds to Army Technological Research Laboratories (ATRL) under the leadership of General Zahid Ali Akbar. Afterwards General Zahid was replaced by Lt. General Tala’at Masood. Moreover this is also part of the history after moving the Ministry of Science and Technology to Prime Minister Secretariat under the leadership of Munir Ahmad, this was assured that Dr. A.Q. Khan could be kept away from Science and Research Program. All these bitter realities are present in the previous editions of newspapers and on the WikiPedia website as well. Below is the Transcript of the letter for easy reading!